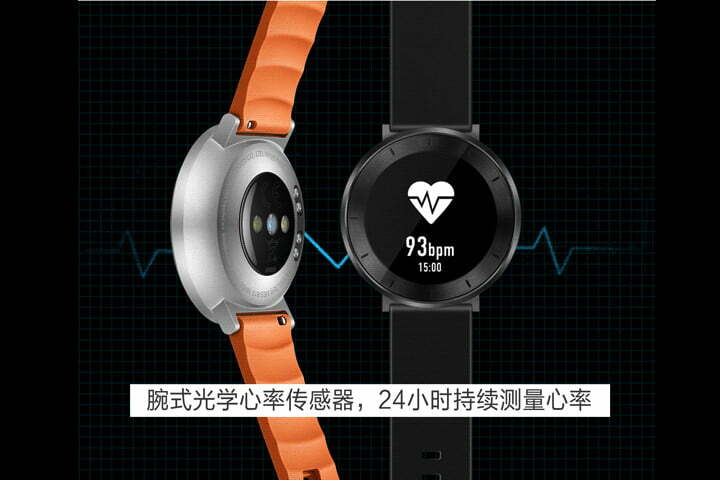 Honor, the smartphone brand that shares technology with Huawei, has launched a smartwatch, after recently posting a teaser image of such a device on its official Weibo account. It’s called the Honor S1, and it was joined at the launch event on October 18 by the Honor 6X, and an Honor tablet called the Honor Pad 2. Honor already has a couple of wearable devices on its books, the Honor Z1 and the Honor A1, but both are fitness trackers more than smartwatches, a trend that continues with the S1. The Honor S1 doesn’t run Android Wear, but a proprietary system that doesn’t appear to run apps, which is displayed on a circular watch face. The focus is on fitness tracking, and the S1 has a heart rate monitor on the rear, along with the usual movement, and sleep tracking features. There are specific modes for different activities, including walking, running, and cycling. Take the Honor S1 for a swim and it will survive the experience, and it’s water resistant to a depth of 50 meters, plus the silicone straps are removable and come in different colors. The battery has an expected usage time of six days. It’s a shame the S1 isn’t a full Android Wear watch. Huawei makes the Huawei Watch, easily one of the best looking Android Wear smartwatches available, so we had high hopes of the S1 being similar in specification to it, with a great design, and a lower price. We’ve seen it before. The most recent smartphone from Honor, the Honor 8, is similar to the Huawei P9 with its dual-camera setup. Despite lower prices, Honor produces good-looking, high quality hardware to go along with the tech smarts, which bodes well for any kind of smartwatch. For now, Honor it doesn’t look like Honor will sell the S1 watch internationally, but has given it an October 25 launch date in China, where it will cost the equivalent of about $100.